Ah, clever. How was the GYROTONIC® method started then? The principles and techniques of the GYROTONIC® method were created by dancer and athlete Juliu Horvath in the 1970’s when he acquired an injury. Originally known as ‘Yoga for Dancers’, this work later became known as GYROKINESIS® which involves only a mat and a stool. Thereafter he massively increased its potential and developed the GYROTONIC EXPANSION SYSTEM® in the 1980’s, which includes the Gyrotonic Pulley Tower Combination Unit (the main bit) along with many other types of equipment. Horvath still continues to refine both the Gyrokinesis and Gyrotonic methods and its equipment today. 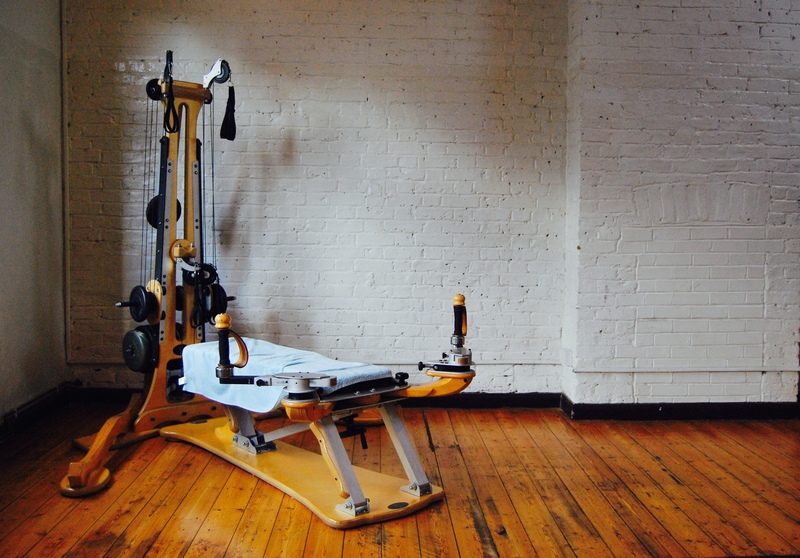 It is called the Gyrotonic Pulley Tower Combination Unit, and no, it’s not scary. Its unique designed will help you to move without pain, I promise. This particular machine uses a pulley system which includes weights and two rotating handles to provide smooth, circular movements. It has been designed to help reduce abrupt movements and risk of injury, which helps to create less impact on the joints. The mover is able to produce three-dimensional movement to allow more freedom in the focus, breath, and movement. It is especially beneficial for the spine (i.e. postural alignment). Overall, it helps to improve flexibility, coordination and range of motion. 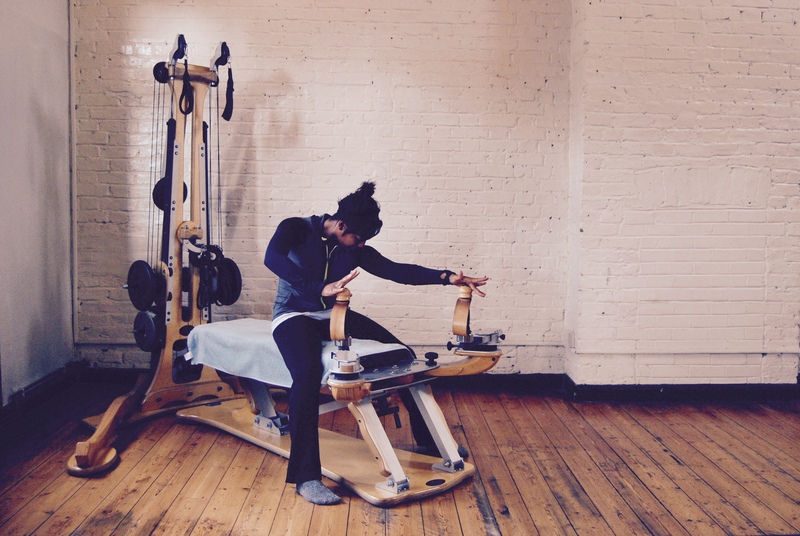 What happens in a Gyrotonic class? A few basic principles and movements of the method are thoroughly explained. Exercises are shown throughout and we often move together. Movements are guided with hands on, breath and counting. You will learn how to relax and move more efficiently. Your class will be catered to your needs as pain and discomfort are avoided. And yes, you will be given homework for the next lesson (you’re welcome). What are, say, the top 5 reasons why it is unique to other exercise methods? In London? You can use the contact form to schedule a Gyrotonic class with me. Studio locations are provided on the ‘Take A Class’ page. Introductory offers and discounts are also available. Need another location or outside of London? 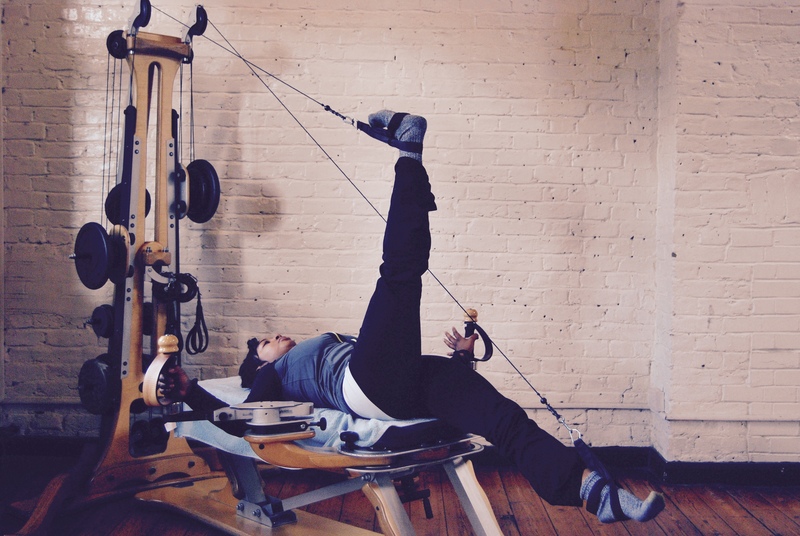 You can find a Gyrotonic studio nearest you here. Lastly, how could I become a certified Gyrotonic Trainer? First things first. You must take enough classes to be comfortable with the technique with a certified Gyrotonic Trainer. Then you can attend the Pre-training course which is followed by the Foundation course, which is taught by a Master Trainer. You then have Apprentice hours (in your own time) and Supervised Apprentice hours (with a Master Trainer) to complete. Once the hours are completed, your newly learned skills will need to be approved to continue. At last, you can attend the Final Certification course, which takes place over 3 days. The Gyrotonic Level 1 Certification lasts for two years. After that, you will have an array of options to choose as an update.